Travel Thru History President Lincoln assassination conspiracy? Key Players and motives. 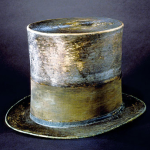 Is there any mystery surrounding Lincoln's death? 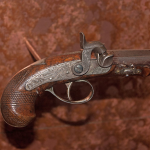 We explore the Lincoln Assassination and Conspiracy theories. Killed: April 14th, 1865 at Ford’s Theater, Washington D.C. while attending a play. 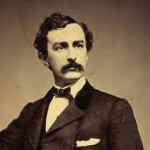 Assassin: Actor, John Wilkes Booth. Motivation: To revive the Confederacy’s cause after General Robert E. Lee’s surrender to General U.S. Grant five days earlier. 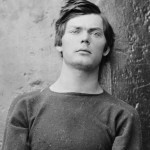 The Mad Man – Lewis Powell tasked with killing Secretary of State William Seward. Fails in a dramatic, bloody scene, screaming “I’m a madman” on his way out of Seward’s house. 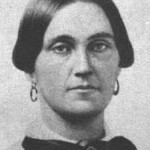 The Inn Keeper – Mary Surratt, Confederate sympathizer provided the safe house for the development of the plan. 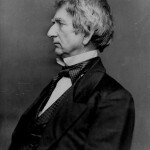 The Secretary of State – William Seward was stabbed repeatedly by Lewis Powell while in bed but survived. The Flip Flopper – George Atzerodt lost his nerve and couldn’t go through with killing the Veep. Lincoln was the first US President to be assassinated; although there was an attempt on Andrew Jackson’s life 30 years earlier. It is believed Lincoln escaped an earlier plot to kill him while he was President-Elect traveling through Baltimore, in slave state Maryland. 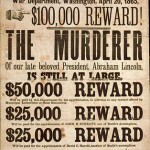 Booth and his co-conspirators Lewis Powell, George Atzerodt, and David Herold hoped to sever the continuity of the United States government by killing Lincoln, Secretary of State William Seward, and Vice President Andrew Johnson. The plan failed as two men got cold feet, and Seward was only wounded. 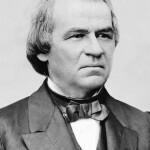 Andrew Johnson became President upon Lincoln’s death. A Southerner! Johnson was to become one of the least popular presidents in American history. 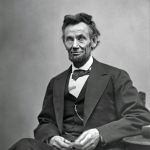 He was impeached by the House of Representatives in 1868, but the Senate failed to convict him by one vote. The assassination galvanized the North’s hatred for the South. The South lost their most powerful advocate for peaceful reintroduction to the Union. Lincoln’s benevolent Reconstruction terms were replaced by the hard handed policies of future Congresses, and the South’s reintroduction back into the Union was lengthy, bitter, and laborious. Lincoln was honored on the centennial of his birth when his portrait was placed on the U.S. one-cent coin in 1909. The Lincoln Memorial in Washington, D.C., was opened in 1922. Future President Ulysses S. Grant changed his plans at the last minute, and was supposed to be at the play with Lincoln. Some say, besides Lincoln, only Secretary of War Edwin Stanton could’ve given that order. Lincoln’s bodyguard was not at his post. He was at a tavern, and was never punished. It’s most likely Booth would’ve gotten in anyway, because he was a major celebrity at the time. 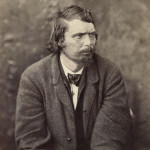 President Johnson issued an arrest warrant for President of the Confederacy Jefferson Davis in connection with Lincoln’s murder, although the main witness against him provided false testimony, and Davis was never further investigated. Did the Pope kill the President? 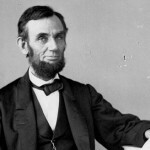 The theory proposed by Emmett McLoughlin and others is that the Roman Catholic Church had reason to hate Abraham Lincoln. This is based on Lincoln’s legal defense of a former Priest against the Bishop of Chicago. This theory is further enhanced by the fact that the Catholic John H. Surratt, the son of Mary Surratt, fled America and ended up in safe keeping at the Vatican.